McKinney Motivational, February 2019. ðŸ’• This is something that can be very challenging and takes genuine effort but I believe this is the most important thing to living your best life. 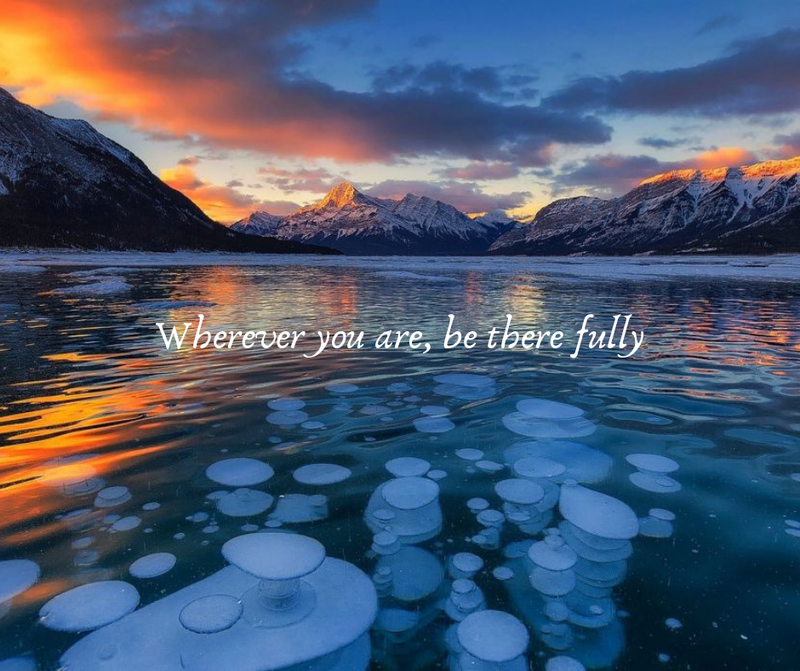 "Wherever you are, be there fully." There are a few variations of this quote but they all mean the same thing - be present. Thatâ€™s it. Wherever you are, be there fully. Not worrying about that to-do list, or that medical appointment, or those bills. Not stressing about that silly argument with your spouse that morning, or getting snappy with your kids, or forgetting to cut off the damn crust from the peanut butter and jelly sandwich. How exhausting all that is! The past is the past and future is unknown. Two things we canâ€™t control yet we let both consume our thoughts. What freedom comes with releasing that crap! I am a worrier by nature and someone who doesnâ€™t relax easily, which can be a brutal combination. So I practice being present every day, and thatâ€™s what it is, a practice. It's something you have to put effort into. So how do we be present? Clear your mind and focus singularly on the exact moment youâ€™re in. As thoughts (â€œI need to do this, I forgot that, what am I going to do if this happens, I miss my mom, etcâ€�) arise, as they certainly will, acknowledge them politely, then release them. Focus on the *exact moment you are in. Try meditation. Take a deep breath and quiet your mind. Focus on your breathing - a cleansing act for your body. Breath from the top of your head, through the body, to your toes, imagine the breath cleansing you. Sometimes I actually visualize a beautiful ocean wave or mountain breeze literally sweeping my thoughts away. Over time youâ€™ll become more self-aware of your mind (and how crazy you can be! ), and being present will come more naturally. I highly recommend the book The Power of Now by Eckhart Tolle... that book changed my life. Letâ€™s go into February being present. Give it a shot, guys, you owe it to yourself, your health, and your happiness.